We’d love your help. Let us know what’s wrong with this preview of The Shogun's Daughter by Laura Joh Rowland. To ask other readers questions about The Shogun's Daughter, please sign up. Just finished. This was recommended in the Salmagundi Mystery Readers Book Club. Has anyone else read it? I was captivated by this book from the first paragraph! 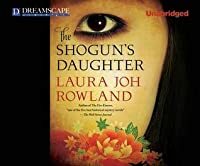 I have always enjoyed fiction set in the Orient, and author Laura Joh Rowland does a magnificent job of transporting her reading right into the heart of feudal Japan of the 1700's with this novel. Her descriptive style of writing plus the fascinating narrative is a thing of joy to read. And if that isn't enough to keep the reader interested, then the intriguing mystery that weaves through this story will keep them on the edge of their seats I was captivated by this book from the first paragraph! 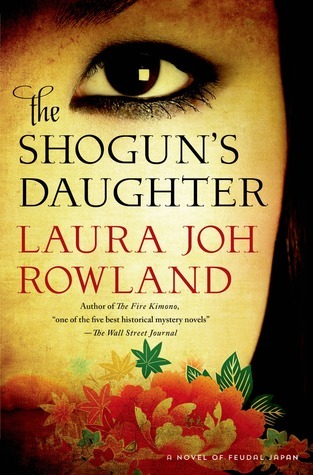 I have always enjoyed fiction set in the Orient, and author Laura Joh Rowland does a magnificent job of transporting her reading right into the heart of feudal Japan of the 1700's with this novel. Her descriptive style of writing plus the fascinating narrative is a thing of joy to read. And if that isn't enough to keep the reader interested, then the intriguing mystery that weaves through this story will keep them on the edge of their seats until the very end. I didn't realize that this book was the 17th (yes, 17th!) book in Rowland's series that features Sano Ichiro and his family, but even without previous knowledge of the characters or backstory this novel is easily read as a stand-alone work. But now that I've dived into this one, I fully intend to go back and see what I've been missing with the rest of the books! Even though this novel and this series of detective novels is set in 18th century Japan, the dialogue is fairly modern and the characters are so well drawn that we can easily relate to them. The plot is complex and though this story is fictional, the historical background and the detailed description of setting gives us a strong sense of the time and place, the atmosphere and political culture. I have read several of the books in the series and enjoyed being transported to feudal Japan, by story Even though this novel and this series of detective novels is set in 18th century Japan, the dialogue is fairly modern and the characters are so well drawn that we can easily relate to them. The plot is complex and though this story is fictional, the historical background and the detailed description of setting gives us a strong sense of the time and place, the atmosphere and political culture. I've been trying to broaden my reading selections a bit this year, stepping out of the realms of American and European historical fiction to check out some books that I might not have normally picked up off a shelf. I was really intrigued by the description of The Shogun's Daughter and decided to give it a try. The story delves right into mystery and intrigue as the shogun's only legitimate child, his grown daughter, Tsuruhime, dies a gruesome death from smallpox at the same time a scheming memb I've been trying to broaden my reading selections a bit this year, stepping out of the realms of American and European historical fiction to check out some books that I might not have normally picked up off a shelf. I was really intrigued by the description of The Shogun's Daughter and decided to give it a try. The story delves right into mystery and intrigue as the shogun's only legitimate child, his grown daughter, Tsuruhime, dies a gruesome death from smallpox at the same time a scheming member of the shogun's court, Yanagisawa, is attempting to pass his own son off as the shogun's long-lost heir. Doubts and questions swirl through the palace compound, and none more so than in the mind of Sano, the shogun's trusted councilor and top investigator, whose deeply ingrained sense of honor will not allow him to let the falsehoods he suspects go unchallenged, even if it causes a fall from grace and places his family in danger. Tasked with uncovering a plot to murder Tsuruhime by none other than the shogun's wife, Sano walks a dangerous line between rival court factions while uncovering a deeper conspiracy that could topple the empire and cost him and his family their lives. I'm glad a branched out a bit into some historical territory that was relatively new to me, but I can't say I enjoyed The Shogun's Daughter as much as I'd hoped I would. I normally like to read a series in order, but I gave this one a go anyway since I'd seen some reviewers say that the books in this series could stand alone, and this one can, but it's because there's a lot of backstory on what happened in previous novels sprinkled throughout to fill the reader in. I felt like I walked in on a story already in progress and was being given the CliffsNotes version of the entire series. I found it a little distracting, and I can imagine if I had read all of the previous novels, that probably would have really annoyed me. And I have to say I was a bit disappointed in the writing. With sixteen novels in the series before The Shogun's Daughter, not a few of which have received stellar reviews and plenty of awards, I was expecting a much more sophisticated and sweeping style and tone. Instead I found it rather simple. The dialogue didn't feel very authentic--it seemed stilted and too modern at times. There was a tendency to explain things that were obvious. I found Sano and his wife and son likable, and they were surrounded by an interesting mix of characters, but aside from one or two stand-outs, most of the secondary characters were very stereotypical. And I'm usually a fan of some mysticism, but in this case, the subplot involving Sano's retainer Hirato and his secret society controlled by a murderous ghost seemed hokey. That could be due in part to not having become familiar with the deeper aspects of that storyline in previous books. But I had a hard time taking it seriously. I have long enjoyed this series though lately have not kept up as I would've wished to. Townsend's brilliant descriptive writing immediately transported me to Edo in Ancient Japan. The opening scenes plunged me into the horrific aspect of Edo (Tokyo) post an earthquake. All too fresh a reminder of the disastrous Tsunami of recent times. The aftermath of the earthquake has not only weakened the buildings but has left people exhausted and dispirited. Graft and corruption is threatening the reconstruction of the city. The Shogun as usual is apathetic to his people's needs and leaves all to his favoured few--whom come and go as regularly as the wind changes. Sano once again is an unenviable position. Fortune smiles upon his arch enemy Yanagisawa whilst Sano's star plummets dangerously. The Shogun has a new heir. Doubts have been raised over the heir's legitimacy. At the same time the Shogun's daughter had died from smallpox, or is it murder? Sano and his wife Reiko are investigating both these matters against the odds. Times are tense and all concerned stand on a hair trigger. Hirata, Sano's chief retainer, and follower of the mystical martial arts, has returned after a mysterious absence of four months. During his absence his wife Midori and daughter Taeko have moved in with Sano. Hirata's story continues alongside Sano's search for the truth surrounding the Shogun's daughter's death and revealing the Shogun's heir's as an imposter put in a place by Yangagisawa. Fortune deserts and Sano in turn is accused of murder. A guilty verdict means that Sano's family, servants and retainers will join him in death. His wife Reiko and son fight against time to solve the crime. Bravely,Hirato's young daughter, Taeko fights to find clues to Sano's innocence. The story ends with Hirata's plight as prisoner of his mystical martial companions and us wondering about what is to come. Because I know the backstory of Sano, his family and friends and enemies, I found little difficulty with reentering the story with this episode. I feel that newcomers to Sano's world need to enter with an earlier novel. Fans like myself however will enjoy seeing more of the battles between Sano and his arch enemy, Hirata's continuing struggle to become free of his mystical martial companions , Sano's struggle with Bushido discipline, and the hard task master that walking the Way of the Warrior is. If this is what historical fiction set in Japan looks like, I’m in! I have always been hesitant to read novels set in Asia because the culture, especially in the historical sense, is very foreign to me and there is a lot that I do not really understand going into it. I was encouraged by this novel because the blurb reads like an adventure/thriller and that would help to keep it from being too mired in a culture I am very unfamiliar with. There were moments where I wasn’t sure what the characters If this is what historical fiction set in Japan looks like, I’m in! I have always been hesitant to read novels set in Asia because the culture, especially in the historical sense, is very foreign to me and there is a lot that I do not really understand going into it. I was encouraged by this novel because the blurb reads like an adventure/thriller and that would help to keep it from being too mired in a culture I am very unfamiliar with. There were moments where I wasn’t sure what the characters were talking about or doing, like adding –san– sometimes to the end of someone’s name, but for the most part it was fairly easy to understand (or look up online). I found that the mystery kept the story moving and that the culture of feudal Japan was seamlessly woven throughout. I can say that I learned a lot about Japan and am intrigued about this era. In many historical mystery type novels the mystery plot can tend to be rather thin and leave much to be desired or is too easy to figure out. In the case of The Shogun’s Daughter, we are given several viable suspects, and you might come up with some guesses, but it certainly wasn’t an obvious solution – which I very much enjoyed. Although this is the 17th book in the series (of which I haven’t read any of the back list) I didn’t feel lost at all. There are certainly times that I can pin-point where I know a character or event is referencing something that must have happened in earlier novels, but you were always given enough information that it didn’t matter to your understanding. One such place is the relationship between Yanagisawa and Sano – you know a lot has happened between them to get them to the deep state of enmity that they are at now. I have a strong feeling that you can probably read most of the books in the series out of order – however reading chronologically will help with a deeper understanding of the characters. 3.5 stars. "The Shogun's Daughter" is a historical mystery that centers around a potential murder in early 1700s Japan. When the story opens, Tsuruhime, the Shogun's Daughter, is on her deathbed with a horrible case of smallpox. Her ultimate death starts a investigation into what happened and it's quickly discovered that due to some of the political forces at play, her death may not have been all that natural. It's up to Sano Ichiro to investigate what happened, which may put his own family at r 3.5 stars. "The Shogun's Daughter" is a historical mystery that centers around a potential murder in early 1700s Japan. When the story opens, Tsuruhime, the Shogun's Daughter, is on her deathbed with a horrible case of smallpox. Her ultimate death starts a investigation into what happened and it's quickly discovered that due to some of the political forces at play, her death may not have been all that natural. It's up to Sano Ichiro to investigate what happened, which may put his own family at risk. It's an interesting tale with an exotic setting. This book is the 17th (seriously!) book in the Sano Ichiro series. I have not read any of these books. While "The Shogun's Daughter" is a standalone book, I could not help but to feel that I was missing some of the back story of some of the main characters, namely Sano. I feel like I had a lot of questions about his background and while some detail comes out in flashbacks within the story, I found myself wanting more. The story itself was interesting. I don't read a lot of historical mysteries but this one made me wonder why I don't read more. Even though this book is quite long, it's a page turner and makes the time go by quickly. I really enjoyed putting together all of the pieces of the puzzle with Sano. There is also a really interesting story line about the trouble his own family is in because of his investigation, which I enjoyed. The setting in this book was probably my favorite. You all know that I love exotic settings and this setting was truly special. 1700s Japan isn't a place that I have visited too much in my reading so this book was truly a treat in that regard. Seventeen books in and I'm still hooked on this series. Over the past few books, the series has taken a turn that has left me feeling let down even though I've still enjoyed each one. The stories are still there. Rowland's richly detailed world is still intact. The change? The characters. One of my favorite characters during the series was Hirata, Sano's best friend and underling. Hirata was not a very complex character, yet he was intriguing to me. When he was injured in a previous book, I felt Seventeen books in and I'm still hooked on this series. Over the past few books, the series has taken a turn that has left me feeling let down even though I've still enjoyed each one. The stories are still there. Rowland's richly detailed world is still intact. The change? The characters. One of my favorite characters during the series was Hirata, Sano's best friend and underling. Hirata was not a very complex character, yet he was intriguing to me. When he was injured in a previous book, I felt bad for him. With the addition of the mystic martial arts, used as a plot to help Hirata heal, his story took a nose dive. It's not the mystical martial arts that bothers me. It's the ghost part and the handling of the trances and powers by Rowland. In this book, it was all I could do not to skip over Hirata's storyline. It was kind of dreadful. Then there's Sano. His spirits and samurai honor aren't as present in this book. I can't say I blame him. After everything he's done and suffered through for the regime, he deserves to finally snap. It just isn't the Sano Ichiro I've come to know. Besides, his emotions spiral out of control too fast at times. By the end, Sano's character feels twisted and disgusting. It's almost as if he's becoming like Yanagisawa. That's not good even if Yanagisawa is my favorite character. Not at all what I expected, this book is a mystery inside a beautifully rendered oriental setting. Laura Joh Rowland has written a story that clips along at a good pace, meant to keep an audience turning pages for the next answer in a puzzle that stays just out of reach. I thoroughly enjoyed the novel for several reasons. First of all, it's been a while since I read such lovely details of costumes, arts and interiors of Japan. These descriptions brought me right into the novel visually. I could Not at all what I expected, this book is a mystery inside a beautifully rendered oriental setting. Laura Joh Rowland has written a story that clips along at a good pace, meant to keep an audience turning pages for the next answer in a puzzle that stays just out of reach. I thoroughly enjoyed the novel for several reasons. First of all, it's been a while since I read such lovely details of costumes, arts and interiors of Japan. These descriptions brought me right into the novel visually. I could "see" the samurai warriors, Shogun and officials' robes; as well as the womens' garments. Simply loved this element. Secondly, the suspected murder of the Shogun's daughter and the following investigation was driven for me by the whole Sano-san family involvement. This was a great device which kept the story moving quickly. I fell in love with each of the characters through their separate parts in the mystery. Finally, the mystical and magical elements of Japan's culture as displayed within the story were fascinating as a sub-story running in tandem with the main one. You'll surely enjoy this novel of feudal Japan. Its many features make it rise above the ordinary mystery novel. And Laura Joh Rowland packs a hard punch! The surprise features will get you! The ending leaves things open for more adventures with these same characters. The book opens with the heartbreaking death of the Shogun's daughter which sets the intrigue in motion. And intrigue there is! The Shogun is well, not too bright and the factions within his cabinet for lack of a better word have been at war for a long time. At this juncture the enemy of our hero Sano Ichiro seems to gain the upper hand by convincing the Shogun that he has fathered a son. Most believe that the son really belongs to Yanigisawa himself but with the Shogun's backing nothing can be done to bring him down - or can it? What follows is the intricate weaving together of several plots and yet I never felt confused. Nor did I realize that this was the 17th in a series; I never felt lost or confused about anything going on. The characters were amazing from the littlest children to the most evil of mystics. Yes, there is a mystical element to this novel that was executed perfectly. I am generally not one for the alternative realities in life (except for a love of time travel novels - go figure) but in this book it was well done and well suited. Sano Ichiro is a hero/detective for the ages and I will look forward to his further adventures. Continuing series of Sano Ichiro and a solid plot in an interesting early 18th century feudal world. This one starts with a death which in itself strongly colors the succession/politico power structure. They are much alike in their style of the "telling", IMHO, these Ichiro series novels. Yet not in their plots. But in the "less is more" simplistic style noted by other posters. It emits a tone, a "face" that seems to me, intrinsically Japanese. And not at all a lack in the writing ability or ski Continuing series of Sano Ichiro and a solid plot in an interesting early 18th century feudal world. This one starts with a death which in itself strongly colors the succession/politico power structure. They are much alike in their style of the "telling", IMHO, these Ichiro series novels. Yet not in their plots. But in the "less is more" simplistic style noted by other posters. It emits a tone, a "face" that seems to me, intrinsically Japanese. And not at all a lack in the writing ability or skill in character depth as some judge. It is simple and direct, short and clipped information. It is not a Japanese investigation occurring within times of extreme kinds of class designation and exact placements of hierarchy, which is trying to be written within a Western verbose, emotion laden excess style. Instead it fits the time and the place- this "face". But I am not reading any more Sano (I have read two others) until I read the first one (Shinju) and/or one or two of the very earliest. They are stand alone, but are much improved if read in order. Like a Tudor epic or War of the Roses conflict that bleeds into another century before or after the big event- this needs some context knowledge. And is better enjoyed if costume, oath, relationship to obedience, tribal loyalty- all that to every nuance most clearly understood. Audiobook on CDs. This book felt like reading about dysfunctional suburbanite drama in Japanese drag. Other than a small amount of description on costume or the reference to bushido there little historic or cultural detail. The characters were so annoying. The preposterous dialogue was unbearable. I did not care for the reader. I picked this up, attracted by the promise of a fictional story and historical look at 18c. Japan. I realized after that this is one of many in a series but I have no desi Audiobook on CDs. This book felt like reading about dysfunctional suburbanite drama in Japanese drag. Other than a small amount of description on costume or the reference to bushido there little historic or cultural detail. The characters were so annoying. The preposterous dialogue was unbearable. I did not care for the reader. I picked this up, attracted by the promise of a fictional story and historical look at 18c. Japan. I realized after that this is one of many in a series but I have no desire to go back to the beginning. I like a good Japanese yokai (ghost) but as far as I got the paranormal activity seemed extraneous but maybe this made sense later on. I'll never know. I did not even skip to and listen to the final disc to see how the murder mystery ended. After having read two incredibly textured novels (Hild and How the Light Gets In) filled with layers of sensations, it was kind of like moving from a 3D world into a 2 dimensional world. Short sentences, little description beyond what is necessary to propel the plot, THE SAMURAI 's DAUGHTER read like a novel for youngsters. I will admit I enjoyed learning about the characters, and the difficulties they got themselves into, but I wanted so much more. This is one of the better Sano mysteries! Laura Rowland at her sharpest! Such a frustrating book. It's page-turning historical mystery with a disappointing, ridiculous, and unnecessary side plot that's soured a once very enjoyable series. Longtime readers should be pleased enough with this penultimate installment of the Sano Ichiro novels. The mystery is well-plotted and fast paced, but this time, the usual life-and-death stakes are ratcheted up just about as high as they can go. Palace intrigue and political machinations get a thorough workout all the way through to Such a frustrating book. It's page-turning historical mystery with a disappointing, ridiculous, and unnecessary side plot that's soured a once very enjoyable series. Longtime readers should be pleased enough with this penultimate installment of the Sano Ichiro novels. The mystery is well-plotted and fast paced, but this time, the usual life-and-death stakes are ratcheted up just about as high as they can go. Palace intrigue and political machinations get a thorough workout all the way through to the edge-of-your-seat climax. That part of the story was satisfying and enjoyable, and on that alone, I'd recommend it. The trouble is, as it has been since The Ronin's Mistress and The Incense Game, the inclusion of a superfluous, eye-rollingly ludicrous, supernatural secondary plot that only tangentially touches the main story. Much like the last book, it could be excised and virtually nothing would change—definitely nothing important to the novel's central plot. Hirata was once an indispensable character that added value and substance to the series, but once Rowland made him into a mystic martial artist with supernatural powers, the character's value and substance diminished, and the credibility of the series arc began to slide. I had actually forgotten about this series for quite a while as my interest was more and more diminishing for it with how repetitive each book was beginning to feel, plus the feeling that it never seemed like this was going to end. Luckily I needed something to listen to and when I poked around the available digital audio books from my library that didn't have a billion holds on it, this was conveniently suggested and was the next in the series I needed. My interest was especially sparked when I I had actually forgotten about this series for quite a while as my interest was more and more diminishing for it with how repetitive each book was beginning to feel, plus the feeling that it never seemed like this was going to end. Luckily I needed something to listen to and when I poked around the available digital audio books from my library that didn't have a billion holds on it, this was conveniently suggested and was the next in the series I needed. My interest was especially sparked when I found out this is the penultimate Sano Ichiro mystery and that Rowland had finally given her readers an ending for him. This had a lot of the issues I'd had with previous books in the series, where more and more it felt like the writing got weaker and rushed, with the cast all feeling pretty weakly done all around. The kids get some character development as they age, but overall the adults are all static and unchanging throughout the entire series and it just makes for some dull moments when pretty much any interactions can be predicted. The mystery itself wasn't incredibly strong but I did enjoy the political intrigue here. Recommends it for: anyone who loves historical mysteries. This mystery novel is set in Japan some 300 years ago and involves Sano Ichiro, a high ranking Japanese official. The story involves the death of the Shogun's daughter and the resulting search for her killer. While trying to solve the murder of the daughter, Sano is accused of setting fire to the home of the Shogun's heir who reportedly dies in a fire. Sano is falsely arrested for killing the heir and he and his family are sentenced to die. Sano and his family must find the real murderers in ord This mystery novel is set in Japan some 300 years ago and involves Sano Ichiro, a high ranking Japanese official. The story involves the death of the Shogun's daughter and the resulting search for her killer. While trying to solve the murder of the daughter, Sano is accused of setting fire to the home of the Shogun's heir who reportedly dies in a fire. Sano is falsely arrested for killing the heir and he and his family are sentenced to die. Sano and his family must find the real murderers in order to save their own lives. The novel takes place as the second novel discussing the effect of the earthquake on Japan. Rebuilding, shifting of loyalties, changes in the power structure. Ichiro Sano, his wife Reiko, and son Masahiro become involved in solving yet another mystery. Once again, the villain Yanagisawa causes problems but then he too is troubled by problems of his own. At this point where I have read most of the novels in the series, I think I am over it. It was a good run and represents many hours of recreation The novel takes place as the second novel discussing the effect of the earthquake on Japan. Rebuilding, shifting of loyalties, changes in the power structure. Ichiro Sano, his wife Reiko, and son Masahiro become involved in solving yet another mystery. Once again, the villain Yanagisawa causes problems but then he too is troubled by problems of his own. And just like that I finished another good book too soon. Should I read the last one in the series or make myself wait because once it's over... it's over. The era of the shogun's will always be one of my favorites in the history of Japan. I love how Ms. Rowland wrote her version of what happened leading up to the appointment of the new shogun, blending fact and fiction ever so well. Childishly written from the first chapter- I confess I quit after the third page. The author's note at the start was really nice, though; would it had been non-fiction, what a story it could have been! nice story, amateurish writing. Not subtle. I had moments where I was so worried for Sano and is situations, and some parts made me cry because I have dealt with them. Overall it was a decent story. I finished this book a few days ago and I have to say, that I still wonder and think about this story. It seems to have lingered and there are not many books I have read that do that for me. Laura Joh Rowland has created an amazing tale full of mystery and Eastern martial arts magic that I found alluring. This was the first historical fiction book I have read from the Tokugawa era in Japan and I was not disappointed in the least. Rowland did an excellent job at describing this foreign era in suc I finished this book a few days ago and I have to say, that I still wonder and think about this story. It seems to have lingered and there are not many books I have read that do that for me. Laura Joh Rowland has created an amazing tale full of mystery and Eastern martial arts magic that I found alluring. This was the first historical fiction book I have read from the Tokugawa era in Japan and I was not disappointed in the least. Rowland did an excellent job at describing this foreign era in such detail it was as if I was watching a motion picture within my own mind. I have always been a sucker for a man with a code of honor and the main character Sano has one of the highest, the code of the Samurai. He was given the task of finding out if someone had intentionally killed the Shogun's daughter with smallpox. This would prove to be even more difficult to accomplish once his arch rival puts himself in a position to rule Japan now that the only legitimate heir to the throne is dead. Sano's morals will be tested even further once the Shogun turns his back on him after he is accused of murdering the heir apparent, a young man who is said to be the son of the Shogun and one of his former concubines. The story will keep you turning pages to find out what has happened and who is responsible for both deaths within the Shogun's family. (As a side note, I could not put this book down and read well into the night to finish it. That was how hooked I was!). The one part of this book that I was a little unsure of its relevance to the overall story was a secondary plot that dealt with the magical side of martial arts. Rowland introduced a character by the name of Hirata who was at one point one of Sano's retainers and had a high place amongst his ranks. But then something changes for Hirata and he joins a secret society of three other men. Once he realizes that rituals they are preforming awaken a ghost general that wants revenge against the Shogun's family, he runs off to try to save his family and to make things right. Rowland did not really develop this storyline very in depth and I have to say even now I am a little curious as to why it was there and for what purpose. This book ended with Hirata's story taking a strange turn and I find myself wondering if it is to set up the next novel or if I missed something from within its mystical pages. Other than that, I thought that this book was extremely well written. The story flowed from one chapter to the next, tempting me and dazzling me with exotic riches I have never experienced. One area that I felt a slight disconnect with the era would be in the dialogue. Some of the phrases used seemed more modern and didn't seem to fit within this place and time, but it did not deter from the the wonderful mystery being told. I will say that I was able to figure out who was behind the two murders within the Shogun's family relatively quickly, but was so invested in the tale being told by Rowland to be disappointed too much by that. Overall, I would think that anyone that loves historical fiction set in the time of the Samurai with a wonderful twist of murder conspiracy should very much enjoy this book. If you are not big into historical fiction and prefer your murder mysteries to be a little more closer to the present, then you probably would want to skip this one. I borrowed this book from my local library; I was not asked to do a review of this book. Set in 1704 in Edo, Japan, this novel is the seventeenth (!) book in a series about samurai Sano Ichiro. The novel opens five months after a massive earthquake (thought to be 8.2 in magnitude!) hit Japan. The shogun (who is not equivalent to an emperor, wiki tells me, but is answerable only to him) is in a panic about his legacy when his only child, his daughter, dies unexpectedly of smallpox. Without an obvious heir, he shocks everyone by dismissing his nephew and instead revealing a long lost Set in 1704 in Edo, Japan, this novel is the seventeenth (!) book in a series about samurai Sano Ichiro. The novel opens five months after a massive earthquake (thought to be 8.2 in magnitude!) hit Japan. The shogun (who is not equivalent to an emperor, wiki tells me, but is answerable only to him) is in a panic about his legacy when his only child, his daughter, dies unexpectedly of smallpox. Without an obvious heir, he shocks everyone by dismissing his nephew and instead revealing a long lost son. Although many in the shogun's court suspect the 'son' is really the child of the scheming chamberlain, the shogun is adamant the child is his. With the new heir declared, there's a purge in current positions, with many killing themselves rather than live with the shame of their demotions. Sano is demoted to Chief Rebuilding Magistrate, a position that surprises him, and Sano expected to lose everything. Rather, the position allows him to keep his estate and a few retainers, and although a step 'down', still gives him some access and power. Unsurprisingly, Sano is presented with a thorny mystery as soon as he returns home: the possibility that the shogun's daughter was murdered. I was a bit nervous that I'd be totally lost stepping into the seventeenth book in a series, but Rowland does a fine job of providing enough back story to keep the new reader informed while carrying enough momentum for Sano and his family that loyal readers should be satisfied. While the overarching mystery is very mundane, Rowland includes a rather mystical subplot involving one of Sano's retainers, a man who has joined a magical martial arts sect. While I initially found those scenes jarring -- I wasn't prepared for any supernatural elements -- I actually rather liked that merging of ordinary and extraordinary. Rowland's world of court intrigue mimics that of other 17th and 18th century historical novels, but becomes especially intriguing when set in Japan. The samurai 'bushido' code colors Sano's behavior and choices, and the cultural emphasis on honor makes powerful people react quite differently than they would in a Tudor novel, for example. As court life is very male-oriented, Rowland provides a strong cast of female characters to balance that out, who have power in their own spheres; Sano's wife is as much a participant in his investigation as he is. I have received a copy of this book from NetGalley in exchange for an honest and unbiased review. The Shogun has only one child, a daughter named Tsuruhime. But Tsuruhime dies of smallpox and has left no heir. There will be no one to lead the kingdom after the Shogun dies and he is getting on in age. The death of the Shogun's daugther comes at a very trying time -- an earthquake has wreaked havoc on the country and rebuilding will take so much time and resources. Up until Tsuruhime died, the Shogu I have received a copy of this book from NetGalley in exchange for an honest and unbiased review. Up until Tsuruhime died, the Shogun had no other known heirs (there were rumors that he was actually gay) until he suddenly names a teenaged boy, Yoshisato as his son. The 17 year old boy has always been known to everyone as being the illegitimate son of Yanasigawa who is an advisor to the Shogun. There are people who doubt that Yoshisato is truly the Shogu's flesh and blood. Among them is Sano Ichiro who believes that it is a play by Yanasigawa to grab hold to power when the Shogun dies. To complicate matters, Tsuruhime's mother is convinced that her daughter was murdered and that someone planted a blanket previously used by someone who died of smallpox in order to ensure Tsuruhime caught the fatal disease. Twuruhime's mother comes to Sano to ask him to conduct investigations to uncover the murderer of the Shogun's daughter. But Sano is no longer as influential as he once was -- Yanasigawa has made sure of that. Sano's wife Reiko is pregnant and very worried about her husband. With Yanasigawa making things difficult for Sano, their lives may change at an instant and she has a son and an unborn child to worry about. Yoshisato, upon being named as the successor, has been moved to a special home which is made for the shogun-in-waiting. A fire breaks out at Yoshisato's new home and as the people living nearby douse the flames, they find that there are no survivors. Sano is among the people who had been helping to fight the fire. As he tries to investigate how the fire may have started, he finds some very suspicious items but then he is seen holding on to them and gets arrested. Sano is now charged with murdering Yoshisato. What will become of Sano and his family. Laura Joh Rowland's book is set in the year 1704 in feudal Japan. Although the story revolves around the intricate web of politics reminiscent of the era, the story leaves something to be desired. The Shogun's Daughter is supposed to be a "whodunit" or a mystery-thriller except that there is nothing thrilling about it. The detection skills of Sano's family leaves a lot to be desired. The book reads like it was meant for young kids. I definitely wanted (and expected) the characters to have much more substance to them. I did enjoy the politics though which is why I gave the book two stars.